Are you on a trip to Beijing? Irrespective of whether you are planning a holiday or coming on a business trip, finding a place in Beijing isn’t that difficult. There are numerous options to choose from and Beijing Serviced Apartments are an easy and affordable choice. These days many travellers are opting for these alternate accommodation options, simply due to the fact that they are easier to find and much more reasonably priced than hotels. These apartments come equipped with the latest fittings and furniture and all your needs will be taken care of. Irrespective of whether you are planning to stay for a day or whole month, the amenities which are offered remain the same. Guests can opt for anyone of the range of apartments available in Beijing, and in the most convenient places too. Serviced apartments are spread all around the city and you can choose according to your convenience. Apartments are available near all main business districts, airport, and bus stations and so on. You can use the apartment locator and figure out where you want to stay. You can also filter your options further using cost. 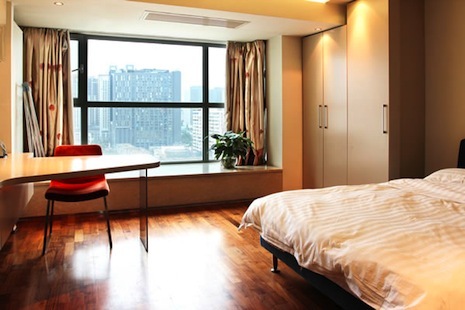 From single bedroom houses to large five bedroom penthouses, you will find every type of Serviced Apartments Beijing. If you require extra beds, cleaning services, laundry services and so forth, these can be arranged as well. Certain apartments come with a full service kitchen, equipped with microwaves, stoves and other equipment. King sized beds, plush sofas and cozy bathrooms are available in these apartments. Wireless internet connections and small conference rooms are also present in certain apartments, and these are ideal for those who are on a business trip. If you want to sit back and relax, you can make use of the entertainment centers that are offered to you. Many apartments come complete with home theater systems too. While choosing an apartment in Beijing, important aspects such as proximity to shopping centers, public transport stations and entertainment centers must be kept in mind. The best part about these serviced apartments is the fact that they come at affordable prices, and the flexibility offered makes them much more attractive. Checking the availability of your favorite apartment is also easy with the help of the website. With your stay at serviced apartments, your visit to Beijing will be a memorable experience and an affordable one as well. If you`re looking to live in Beijing or visit the Beijing area for an extended period of time, the most convenient way to have a comfortable stay is to rent an apartment Move and Stay allows you to find easily Beijing apartments, whether you`re looking for serviced apartments. 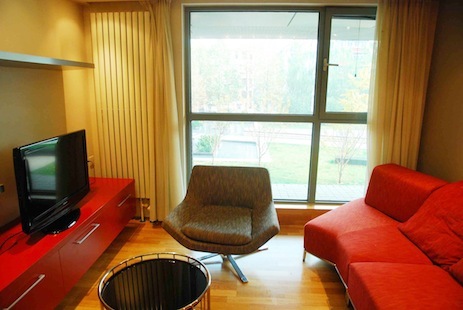 Many of our Beijing serviced apartments come with full accommodations, including a full kitchen and a lounge. In order to provide the most convenient service, Move and Stay helps you find Beijing apartments for rent with our easy-to-use apartment locator. Simply fill in the required information and search for your Beijing apartment. Moving elsewhere in China? Check-out our apartments for rent in China. Also consider our Beijing serviced offices.